I just got back from Swell last night and I wish I didn’t have to leave. It was an amazing trip. Haudy, who runs the place day to day is amazing. Everything is so organized and you are treated so well. She has Swell running like clockwork. It’s like being part of a small family when you are there. The instructors, Dan, Scott and Nano were great and definitely knew what they were doing. They were great guys. The meals that were made for us 4 nights a week at the hotel were phenomenal. I had a private room which was very nice and comfortable. There was no TV which was great. If you wanted access to wifi it was available in the common area, which is where you really gathered most of the time when you weren’t surfing or out at the beach, eating, getting a message or shopping. The area is safe and the property is extremely safe. 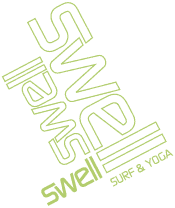 I can’t recommend Swell enough!!!! My only regret was not being able to stay longer.